Preston star Alan Browne hopes that he can bring his attacking game from the club scene to the international set-up with Ireland. Browne's club have given him licence to play as a No 10, and that role worked as he contributed nine goals for North End last season. "Every manager is different, the club manager prefers to have that natural 10 but here in the Irish set up it's a bit different," says Browne. "You have to be more versatile in the way you play - that's the role I prefer but if needs be I can help out defensively too. 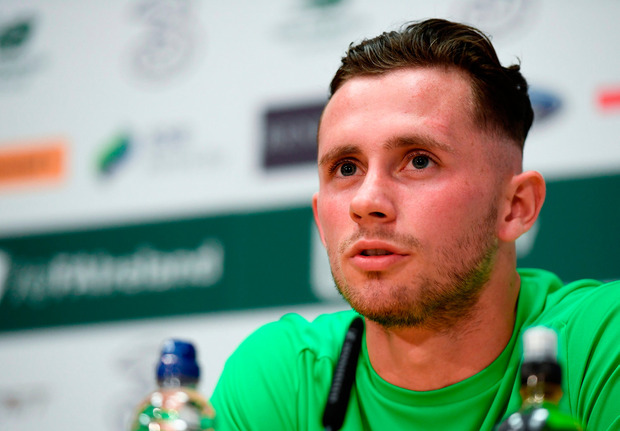 "In the past, we haven't played with that natural 10; the likes of Wes Hoolahan, that was their position, but we never really played with one, so it's up to the gaffer what role he wants his midfielders to play, but we are all here to do a job."